Many people are familiar with the bifocal lenses that come in glasses but less well known is their contact lens equivalent. 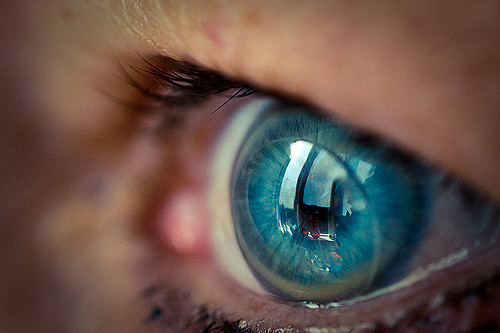 Today, we are able to create contact lenses that can have bifocal, trifocal and even progressive prescriptions! Here at Mountain Eye Care, we provide the surrounding community with quality made, bifocal contacts for those who may need two prescription strengths in one lens. Continue to read through this post to learn about bifocal contacts, and if you could benefit from using them! This type of multifocal contact lens designates different regions of the lens for far and near (and sometimes intermediate) viewing. Depending on what the wearer is looking at, they can utilize the specific section in their lens, for optimal viewing capability. When it comes to the simultaneous vision design, there are two further types, concentric and aspheric. Concentric lenses house their distance power in the center of the lens, with alternative near and distance powers circulating outward. The aspheric design places the distance, or near, power in the center, with a gradual transition to the opposite power as you move away from the center. We offer a large selection of contact lenses in our Mountain Eye Care online store, as well as in our Hamilton facility. With all the major brands of contacts at your fingertips- Acuvue, Proclear, Air Optix, and more, you are sure to find a comfortable fit! The segmented vision design of contact lenses works much the same way as their eyeglasses equivalent. The center and top portions of the lens contain distance powers, and the lower section is comprised of near powers. The bottom edge of the bifocal contact lens is flattened to keep the lens from rotating in the eye while allowing the eye to move behind the lens. Sometimes referred to as alternating or translating designs, this lens offers an excellent alternative for those wanting a little more freedom from glasses, with all the visual aid you need. Mountain Eye Care offers the Hamilton community quality bifocal contact lenses, as well as glasses, for those who may need the power of two lens types in one. Visit us in store at 535 Upper Wellington Street, and let one of our knowledgeable team members help you find the perfect pair of contacts. If you have any questions, feel free to give us a call (905-389-4201) or contact us online to have all of your vision-related needs personally taken care of!